Oklahoma Connection | Swisher born and raised in Oklahoma City, Oklahoma. Bill Swisher served the Boy Scouts of America for many years, both nationally and locally. He chaired the 1989 National Jamboree and introduced President George Bush at the event’s opening ceremony. 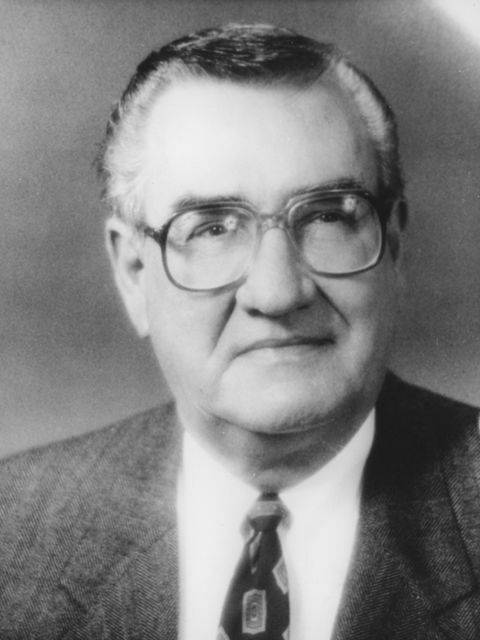 A third generation Oklahoman, G. W. “Bill” Swisher was the founder and chairman of CMI Corporation. He has been involved in the development of more than 50 U.S. and foreign patents, while his paving machinery revolutionized the industry throughout the world. He was a director of the Road Information Program and served on such organizations as the International Road Federation, U.S. Patent and Trademark Advisory Council, and the American Road and Transportation Builder’s Association. Locally, he served as president of the Oklahoma City Chamber of Commerce and as director of the State Fair of Oklahoma and United Way of Greater Oklahoma City.